The overall theme of this boss is that abilities gets empowered over time. 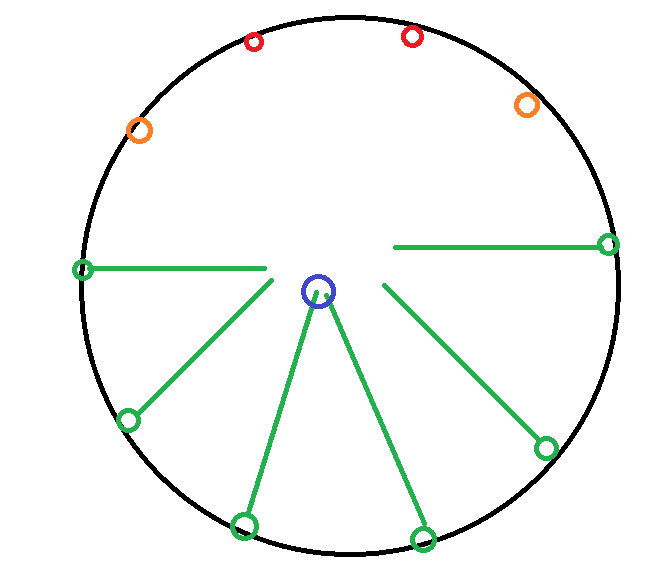 Instead of only being quick bursts of damage to the player and anyone around it now also creates a growing circle around the player every 2s and ends up being roughly 25-30y in radius. After soaking it leaves you with a debuff preventing you from soaking again by leaving a debuff for 30s increasing damage from rend by 500%. Immunities still work tho so you can soak first and cloak second for instance. So both of these abilities gets 1 addition to them which is if any add is inside the area of effect they will become immune to CC and become twice as fast. You can dispel this quickest done with a mass dispel but by doing so the raid will take a lot of damage increasing with each add affected so it is something you want to prevent but in the case of it happening instantly stun them and then mass dispel. Once hit you also become stunned for 5s and when it expires you deal a lot of damage to anyone within 20 yards but can also be dispelled. Flare once again gets an addition which is that an add will spawn from each flare as it erupts. It is the same small adds seen in the intermission phases and they share attributes. The main thing about these adds except that we will have more of them is that they can only be crowd controlled for 8s so we will take advantage of area of effects abilities rather than single target ones. There is not much to say about this phase except that it wont be good enough to just spread a few yards anymore we need to take advantage of the entire platform. That means tanking the boss at the edge and having all ranged and healers spread out in an arc behind the boss to max distance for blazes. When it comes to the rends needlessly to say is that there will be 2 groups doing the rends as most classes can only take 1 rend so check which of the 2 groups you are assigned to and memorize it. The goal is always to get rid of as many adds as possible as quick as possible and with the increased amount of adds so for each intermission we will do the rotation of 2-2-1-1-1-1-1-1. To accomplish this in the smoothest way possible the tanks drags their respective adds to the top(opposite of entrance) of the platform to the spawn location of 1 add each making the add empower for a few seconds so it will become faster and sooner reach the center. The tanks will not follow the adds as the goal is to make the add leave the empowered range before reaching the center so no extra damage is taken. The adjacent add of each empowered add will be in frost novas for approx 4s before starting to slowly walk to the center this should be enough time to drop the first 2 stacks. The remaining 6 adds will be mass gripped when they are close to reaching the center and then a cc rotation begins using mass roots and earth grab totems any of the abilities can be replaced with 2 mages using ring of frost in 1 set each so root - root - root - mage1, root - root - root - mage 2 whenever someone is missing. The most important thing here is to control adds while dealing with flare and searing tempest so we will have to use typhoons, thunderstorms and shining force to do so but only when its called for. Important to know is that the adds will be kept in the center of the room so you have to bait flares away from the adds to not empower them meaning dont ever be close to them keep your distance from the center while also spread at the same time. 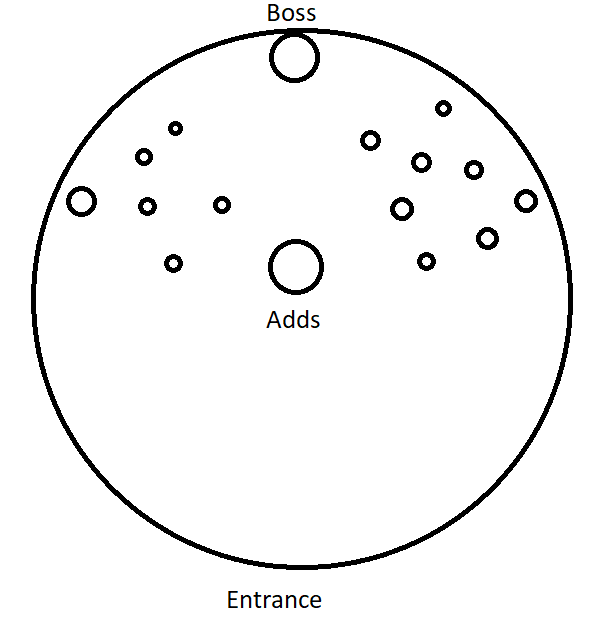 Whenever the boss is casting foe breaker make sure to get as far away from the boss as possible if you are a tank and melee step back for a few seconds while the dispel is coming in. The flares will from now on be baited on top of each other meaning everyone needs to stack up on a player which will be positioned close to the adds that are already up but not close enough for them to be empowered by the flare. Once the adds spawn from the flare we will mass grip them back together. From now on it is extremely important to be aware of which add has been up for the longest I will link a WA further down that tracks the energy as we need to make the old adds explode before any new ones. They will also need a mass dispel as the flares does not go off all at once but staggered so adds will be empowered. 2 red adds gets empowered and runs in to the boss, the orange gets delayed for a few seconds and then walks in by themselves the greens walk towards the center then mass grip as they all are close enough instant root.